- An integrated collection of various tasks and activities as well as practices of vocabulary and grammar. - The practices are focused to enhance all of 4 communicative skills: listening, speaking, reading and writing. - The interesting topics and situations discussed in the reading textbooks will enable learners to perform a wide range of communicative functions using the Korean language. This book series is generally divided into three levels. 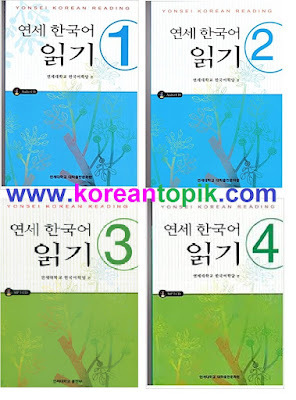 - Yonsei Korean 5, 6 for advanced learners. If you are living outside of Korea, you can buy the printed book online at Gmarket English version. If you are living in Korea, it is better to buy the books using Gmarket Korean version for cheaper prices. The ebook versions (PDF and Audio) of these textbooks are collected from different sources, so only some textbooks and audio (from volume 1 to volume 4) are available. If you want to own your own book and practice book, please consider to buy the printed books as mentioned above. Yo bro the link is down can you post the link again. I am waiting for the link. Hi Ryan, the link is still working well. Please read FAQs for learning how to get the file. the missing pages are fixed. enjoy studying korean.